Discover your potential with personalized coaching from a trainer who understands your goals and will help you push past your limits. We’ll show you how to do all the right moves so you’ll see long-lasting changes for the better. We’ll help you find—and safely use—the power of your potential. Owner and CEO Brandon Wilton is a CrossFit coach with 12 years of experience and specializes in personal training and program design. Passionate about teaching, learning, moving and creating, Brandon loves helping people discover themselves through personal responsibility and accountability. "The reasons I began CrossFit are far different than the reasons I am still in it today," he says. "The passion has always been there, and it simply shifts from whatever I take on within running the business." Brandon’s athletic history includes stints as a Highland Games Competitor, Strongman Competitor, Ultra Marathoner, Brazilian Jiu Jitsu, MMA and Judo. When not in the gym, he enjoys being with his family and managing the business side of CFSB. His favorite motivational saying: "Your beliefs become your thoughts; your thoughts become your words; your words become your actions; your actions become your habits; your habits become your values; and your values become your destiny." Owner and CFO Carl Case has been CrossFitting for a decade and specializes in strength and conditioning coaching for sports. "I am passionate about empowering athletes on field performance, coaching and playing rugby, learning more about business, and the strength and conditioning world. What I love most about coaching is helping an athlete or general population member take themselves to a place that they didn't know they could get to." Growing up, Carl played just about every sport: Baseball, football, track, wrestling, basketball, and rugby. "I focused on rugby and football in high school," he says. "I continued to play rugby throughout and after college." Awards include: 3rd, 4th, and 5th national place finishes in high school rugby; Men’s D3 National Runner Up; Collegiate Michigan All-star Team; Collegiate Midwest All-star Team; Men’s Michigan All-star Team; and Men’s Midwest All-star Team. His interest in CrossFit began in 2007 after one of the guys that he played rugby with told him about this gym he was going to,how hard and intense the workouts were, and that he should come give them a try. "I did and fell in love with it right away," he says. 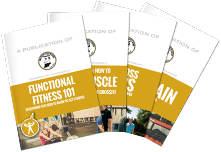 "I threw away the program I was doing from BodyBuilding.com and after about a year of being in it, I noticed that I was able to pick the movements well but also was able to help other members understand them. The owner of the gym asked me if I had any interest in coaching." In 2009, he got his Level 1. "When I finished college in 2010, I was trying to decided what path I wanted to take, and the answer was right in front of me. I joined Brandon in 2011, and that has been one of the best decisions of my life." When he’s not in the gym, Carl enjoys coaching high school rugby, spending time with his fiancé and friends, and writing and traveling the country teaching seminars for Power Athlete. His favorite inspirational saying: "Kill the snake of doubt in your soul, crush the worms of fear in your heart, and mountains will move out of your way." Head Coach Amy VanDyck specializes in CrossFit, Olympic lifting, CrossFit Kids and personal training. Focused on continual improvement, Amy has been a CrossFitter for almost a decade and enjoys coaching beginners and kids. "I’m driven to help!" she says. "I have a passion to see people succeed and will continue to push them to achieve their expectations. Many times, this will lead to learning, accomplishing and pushing themselves to be a far greater individual mentally and physically." What does she love most about coaching? "First, getting to know our members in a more personal way, finding out what their interests are even outside of the gym," she says. "Second, I enjoy seeing our members accomplish goals they have been striving for or thought they could never accomplish. This THRILLS my soul." A stay-at-home mom for 12 years, Amy was talking to a friend who had just gotten into CrossFit, when he invited her to check it out. "I came in to see what this ‘new exercise’ was all about and immediately fell in love," she says. "I have always been active and after three kids was excited to do something other than videos at home. After being here at CrossFit South Bend for about two years, the owner’s grandmother said to me, ‘Have you ever thought about becoming a coach?’ Soon after, our owner approached me about coaching as well." Even though she had prior coaching experience in cheerleading and knew she loved to help people, Amy was very unsure about coaching a sport that was so new to her. "With much prodding and encouragement from family and friends, I dove in and have had NO REGRETS for the past eight years," she says. Amy works as an Office Administrator here at CFSB with client and billing relations. She’s also continuing her education to become a better coach and mentor to our members. "Otherwise, if I'm not here, you’ll usually find me at an athletic event that involves one of my children." Head Nutrition Coach Robby Gustin has been a CrossFitter for nearly eight years—and wears many hats here, including Head Nutrition Coach, Functional Diagnostic Nutrition Practitioner, and CrossFit Level 2 Coach. However, he specializes in nutrition and natural solutions to chronic health issues. "I’m passionate about educating and empowering people to take charge of their own health with tools like diet, rest, exercise and stress-reduction," he says. "I believe, that as a society, we exercise and sleep too little, we consume too much food and too many prescription drugs, and we are way too stressed. My aim is to help people restore optimal health by getting all of these contributors to health in line." The thing Robby loves most about coaching is watching our members grow as people by accomplishing things they never thought possible. In fact, he became a CrossFit coach after he was diagnosed with Graves’ disease (autoimmune hyperthyroidism) while pursuing his Ph.D. in philosophy at Notre Dame. "It was the entire process of using natural methods to recover from that that convinced me to change careers from academia to health and wellness," he says. Robby’s athletic background includes wrestling in high school, bodybuilding in college, and then CrossFit, Gymnastics, and Powerlifting (Deadlift: 600lbs, Squat: 552lbs or 2.5x bodyweight, Bench: 355lbs, Strict Press: 225lbs) since he’s been at CFSB. In his spare time, Robby enjoys hanging out with his wife Lisa and their three dogs, cooking, reading, learning as much as he can about health and wellness, going to the beach, and obsessing over Apple products. Coach Mitchell Walker is a CrossFit coach with nearly four years of experience who specializes in being myself and bringing some humor and fun into the classes. "I’m extremely passionate about my job!" he says. "I am very lucky to get to say I wake up looking forward to starting my day of work (coaching). I’m very passionate about leading by example and focusing on my training outside of the classes." Mitch loves coaching our members because of the constant learning and teaching opportunities we get on a class-to-class basis. "Those learning opportunities allow me to do my job better which helps me help the athletes better," he says. Although he played football in high school, Mitch grew up in the gym industry and had his fair share of experience in this field. "With that being said, it was the community and the intensity that brought me here and I’ve never looked back," he says. "I knew that health and fitness was a passion of mine a long time ago and this would be a perfect opportunity to share that with people." When he’s not in the gym, Mitch coaches a high school football team and works with them throughout the year. "I love to watch or go see movies," he says. "Maybe binge watch TV shows. Oh yeah, food. I really love food (cooking and eating)." In fact, he likes to say things like: "If I were to rate this workout on a wing scale, this would be mango habanero-flavored." Coach Raleigh Heth is a CrossFit coach with five years of experience and specializes in Olympic weightlifting in addition to CrossFit. "I love the look on an athlete’s face when a difficult movement finally clicks and they're able to perform it more proficiently," he says. "I love exercise and I love teaching (both CrossFit classes and in an academic setting). It was the perfect fit!" Raleigh is passionate about weightlifting, learning and ancient languages. He was active as a multi-sport athlete in high school and in intramural/club sports in college. When not CrossFitting, he’s usually studying or annoying his fiancé. After playing one year of basketball at Bethel College I fell in love with the gym. I spent 5 plus years in a traditional style gym and found myself getting bored with results slowing. I started doing more athletic style and HIIT training and came across Crossfit after seeing the 2011 Games on TV. I started doing main site workouts and realized quickly I needed a coach and you can’t Olympic lift in a globo gym. My wife knew one of the Owners from Rugby at a local high school and I decided to do On Ramp in October 2012. I was immediately addicted and naturally drifted towards the Olympic movements. I love learning and growth and decided to start working on certifications and upgraded my coaching knowledge. Most of my life was spent on a board skateboarding and snowboarding. This gave me really good body awareness and mobility. I played one year of basketball at Bethel College. Competed in multiple Olympic Weightlifting competitions including the American Open Series III, 2017. I love building deep relationships and helping my athletes over the long term achieve success and do things they didn’t think they were capable of. I love celebrating their PRs. When I graduated high school I was 6’3” and 135 lbs. if you think I’m skinny now you should have seen me then. I put 40 lbs of muscle on my frame. Everyone’s journey is different. It doesn’t matter how much weight is on someone else’s bar, all that matters is that you are improving. Coach Meg Stuk is 3 years into her CrossFit journey, and teaches Human Anatomy and Physiology when she isn't in the gym. Her passion for the sport stems from her understanding of the human body, and her admiration for what it can accomplish. "The human body is just the most amazing and fascinating vessel to me. It's incredible what it does daily and all it can accomplish when tested. As much as I admire it, there's more to health than having a strong body. Our nutrition, stress level, exercise, sleep and more play a role in our well being, " she says. "I'm passionate about leading a balanced lifestyle by encompassing all aspects of health." She understands what it's like to join the gym without an athletic background, but says that CFSB shortly became her second home after trying CrossFit for her first time. "Although I teach high school anatomy, I was searching for something more. I was ready for a new challenge, but didn't really know what that was," she says. 3 years later, she appreciates the opportunity to coach. "Becoming a coach has let me combine my love of teaching with my passion for living a healthy lifestyle while continuing to learn and grow." Meg lives out her passion for helping people achieve a balanced lifestyle by understanding the goals and backgrounds of each member. "I love coaching an amazing group of people, who each come with a varied background. That's what makes coaching so much fun! With each new accomplishment, from a push up to a muscle up, I get to be there and celebrate with them." Coach Kate Bowers has been a CrossFitter since 2014 and specializes in teaching general CrossFit classes. "I'm passionate about helping others recognize their potential and inner strength," she says. "I love watching members recognize their physical and mental strengths, while supporting and encouraging others to do the same." Kate grew up as an avid competitive soccer player, and has always been committed to a healthy and active lifestyle. After trying distance running, spinning, and other various group exercises, she found her home in CrossFit. "It has provided an opportunity to learn about myself while being surrounded by a positive, supportive community," she says. When Kate isn't in the gym, you can find her trying to keep up with the busy lives of her three children, or enjoying her day job as a psychotherapist in the community. Coach Erin Lannan works hard to build strong relationships with members that can allow her to provide great coaching experiences. "I love being part of the day-to-day with CFSB members. I learn not only about their goals within the gym walls, but also their work demands, school classes, and personal lives. This magic all happens during the hour you spend with us," she says. "I love that for a lot of members, this hour of their day is a chance to unwind and get away from the stressors of their lives, and they choose to spend it with us." Erin has been an athlete for, essentially, her whole life. Having dabbled in cross-country, track, basketball, soccer, softball, kickball, ultimate frisbee, and more, she found that after college she was missing the challenge of a routine sport. "Once I found Crossfit, I was hooked, and I was passionate about perfecting all of the movements (which I am still working on)," she says. While she may spend a lot of the time in the gym, her love for coaching actually stems from having been a stay-at-home mother of two. After moving to Mishawaka from Louisville to be near family, she had the itch to start working again. Now, if you can't find Erin at CFSB, she is probably at home raising her two boys, "completing home improvement projects around my house that don't really need to be done", or "binge-watching ridiculous TV shows like Sister Wives, all of the MTV Challenges, and all holiday Hallmark movies."